Front or rear, includes genuine Kia parts, machine rotors, and complete brake system inspection. Valid for Kia vehicles only. K900 model may be extra. Void where prohibited by law. Environmental disposal fee may apply. Taxes included in price. Not to be combined with any other offers, coupons or prior discounts. Must present coupon in person at dealership at the time of arrival. Limit one coupon per customer per service item. Valid only at Lou Sobh Kia. Expires 5/10/19. Valid for Kia vehicles only. Void where prohibited by law. Environmental disposal fee may apply. Taxes included in price. Not to be combined with any other offers, coupons or prior discounts. Must present coupon in person at dealership at the time of arrival. Limit one coupon per customer per service item. Valid only at Lou Sobh Kia. Expires 5/10/19. of arrival. Limit one coupon per customer per service item. 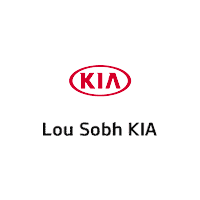 Valid only at Lou Sobh Kia. Expires 5/10/19. Additional charges may apply. Valid for Kia models only. Other brands and models may be extra. Void where prohibited by law. Must present coupon during write-up. Up to 5 quarts of conventional oil. Synthetic oil extra. Cannot be combined with other offers or discounts. Prices may vary by model. Plus tax, shop supplies and applicable fees. See dealer for details. Valid only at Lou Sobh Kia. Expires 5/10/19.